I watched the final episode of the sixth and final season of Longmire, the modern Western crime drama, on Netflix last night. The outstanding series was based on Craig Johnson's crime novels about a Wyoming sheriff. 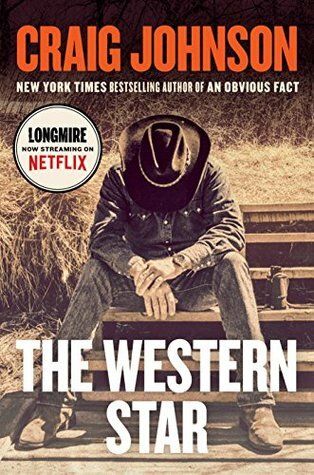 As I noted in my Washington Times review of Craig Johnson's latest Longmire novel, The Western Star, Walt Longmire is a big man who is taciturn and possesses a dry sense of humor. Craig Johnson describes him as overage, overweight and overly depressed, but he still gets up in the morning and tries to do his job. Longmire offers a modern take on what Craig Johnson calls the cowboy mythos and the romance of the old West. 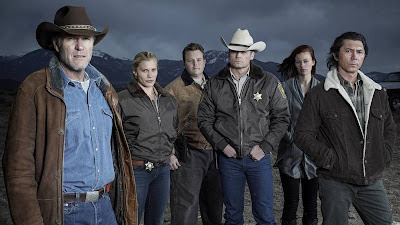 Australian actor Robert Taylor portrayed Walt Longmire, Katee Sackhoff portrayed his deputy Victoria "Vic" Moretti, a South Philly girl and former Philadelphia cop, and Lou Diamond Philips portrayed Henry Standing Bear, Longmire's best friend. The series offers a good number of other fine cast members as well. I enjoyed the series and I'll miss it. 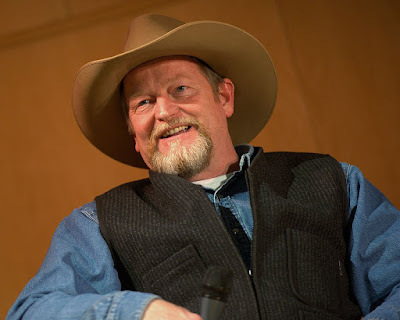 Note: The above photo is of author Craig Johnson.